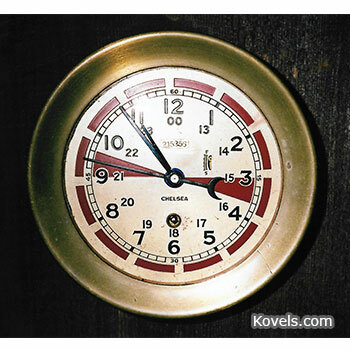 Q: I bought this brass clock at a house sale about 70 years ago from a man who was in the Navy during World War II. He thought it came from a naval message center. It is 7 inches across, has the name “Chelsea” on it, and it works perfectly. I’m wondering what the markings mean. Can you tell me anything about it, including its value?